How to Repost on Instagram - Digital Marketing : Social media marketing, research, news and more! Sharing and Reposting are definitive in social media that makes you genuinely interactive. Unlike Facebook and Twitter, Instagram does not allow Inst users to share content from others feed directly. Facebook and Twitter designed their platforms user-friendly, a new beginner can also easily retweet and share others content easily. Does anyone have an idea how to Repost on Instagram? Are you searching for a proper way to Repost on Instagram? Let’s get into the point, and here we have compiled the right procedure to Repost on Instagram. Some people use Regram by third-party applications, and some people use the Instagram app to report the user-generated content. 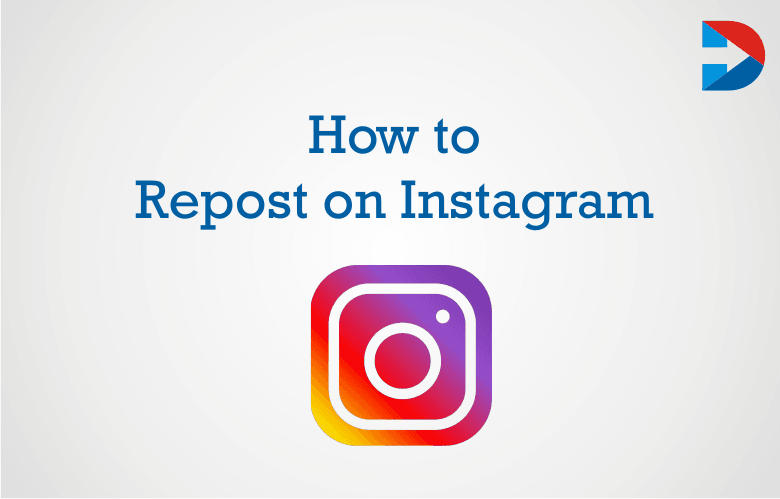 The process of Reposting on Instagram is also named as Regramming. Regramming helps content marketers and Co-brands to remarket the user-generated content. Regramming defined as Reposting someone else’s content on Instagram. This process is popular in content marketing, Regramming is not an easy way what we do on Facebook and Twitter like one step process. Reposting Images and Videos on Instagram doesn’t finish in single step what we do on Facebook and Twitter with one click. Reposting on Instagram consists of few steps to share others content feed. Reposting videos on Instagram account quickly grow user engagement and it is the best way in Instagram marketing. 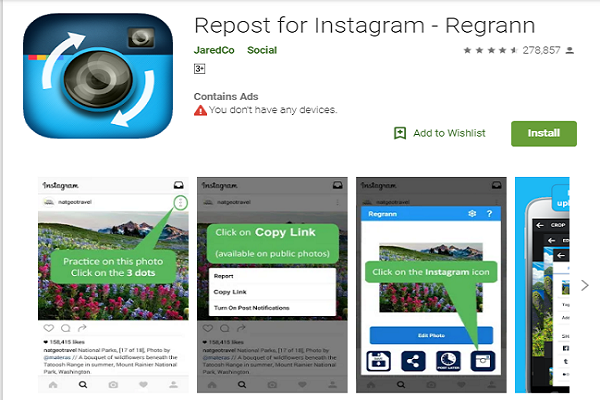 Reposting images and videos on Instagram is same for both Android and IOS users. Go to the Instagram app on your smartphone. Go to the feed in your Account, choose the Video or Image from the feed. Click on the more (three dots icon) from the top right corner of the image/video. Copy the link from more and share on third-party apps which are connected to your Instagram account. You can use the third party apps like Repost. 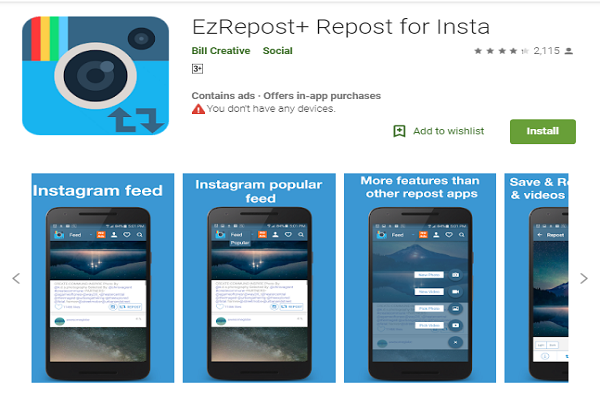 This is a popular third-party app to repost on Instagram. In another way Copy the link that you would like to share the image or Video from the Instagram feed. Go to messenger on your mobile, click on the search button on Messenger. Type Repost Bot on search and paste the copied URL. Here you will see the copied images or video with Hashtags. Then Click on Download to download the Image / Video to your device. Go back to the Instagram and share the image/video as you usually post on Instagram including the hashtags and Titles. It is entirely necessary to Repost the user-generated data on Instagram for Instagram Marketing. To enhance the marketing experience and to increase the followers’ user-generated data plays a vital role in Instagram Marketing. User-generated data is nothing but a visual form of content or data created by the users on an online system which is available on social media sites. Reposting allows you to communicate different new positive thing about your brands. It is a gateway for direct communication of brands and the customer. Can explore your brand awareness and convert customers to Conversion. That means you are encouraging more users generated content. Once you Repost the other brand’s messages, you can build a new community to grow business. You will get a large content pool to avoid the content fatigue across Accounts. Those who are Reposting the others content in Your Instagram accounts should remember the following Tips. Once you started Regramming the content, that should reflect your business and content should be relevant to your Brands. Reach out the original content creator to get permission for using their photos and Videos for Regramming. Without the legal permission from the Original content creator, you should not edit the photos and Videos. Finally, include the #regram hashtag to easily discovered by the marketers and brand to take advantage by User-generated data. 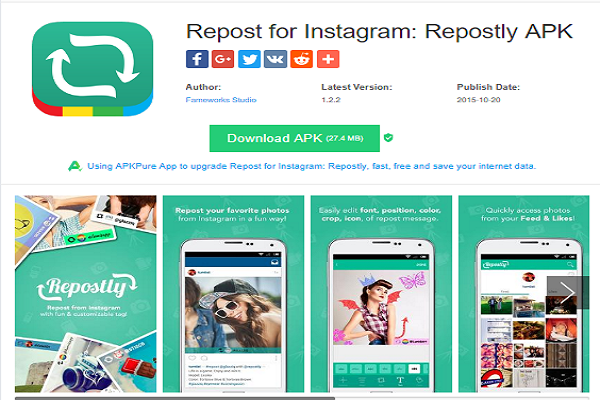 Here is the best tool to Repost on your Instagram from your Android /IOS Mobiles. 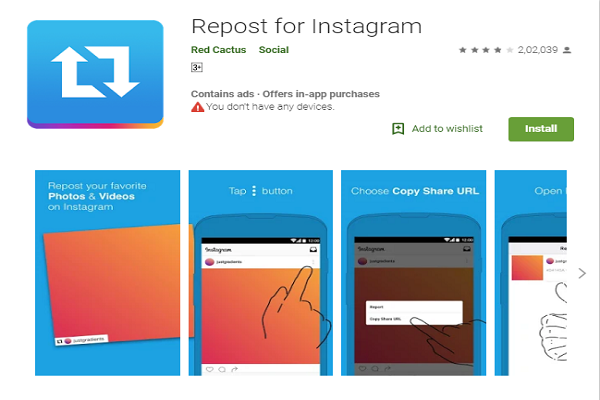 These Reposting / Regramming apps work same for Android and IOS. This app makes your work easier and faster to Repost anything on your Instagram Account. It is just like copy and pastes URL on this Repost app and available for both Android and IOS users. 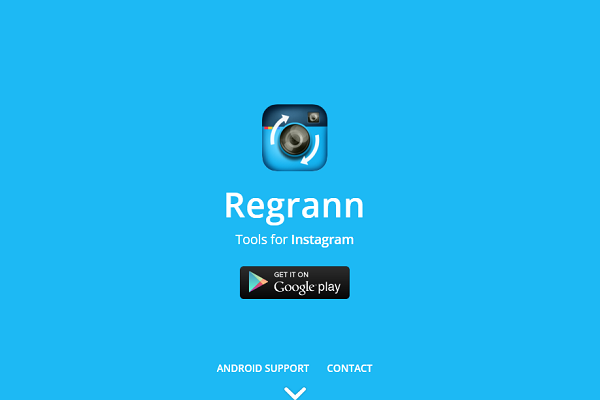 Repost for Instagram regram app consists of smooth and straightforward functionality. Just copy the link and post to your Instagram account directly. It is also freely available for IOS and Android users. 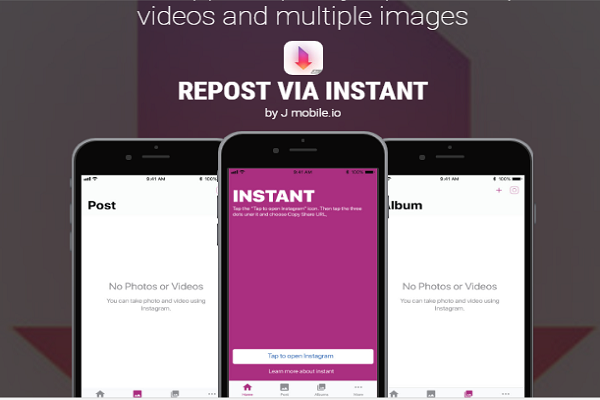 Repost via instant is a three-step process app. This app also has millions of downloads from Google play store. Download this app to save your favorite videos and images to your device directly. It is also an excellent app to Repost / Regram your favorite videos/images directly on the Instagram account. Just in three-step, you could complete the process of Reposting. Regrann provides user friendly environment to Repost Instagram feed. Easy to save photos and videos to your device, can access anytime whenevre you posting on Instagram. A perfect tool to Repost on Instagram. 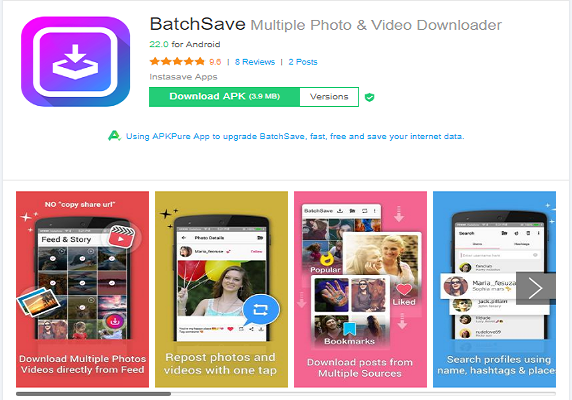 Batchsave is also one of the best among all apps to report on Instagram. 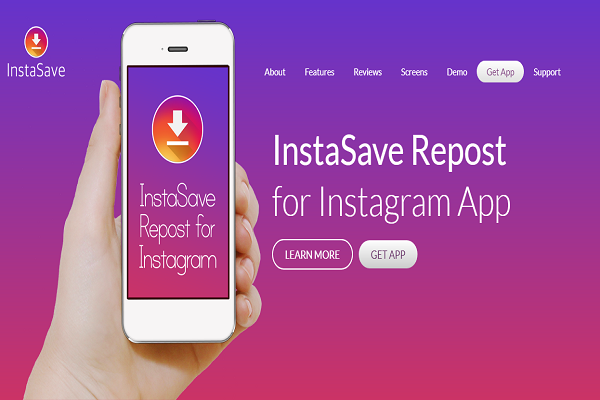 Instasave and Repost app mainly focused on reposting the Instagram Videos and photos. Quick access to photos and videos. Directly Repost without the watermark on our feed. It makes easy to Repost and save videos from others feed easily without copying URL. Directly copy the feed from others account and paste it on Ezrepost+ with original caption. Specially designed for Android users. Reposter allows you to post more funny and interactive videos and images. 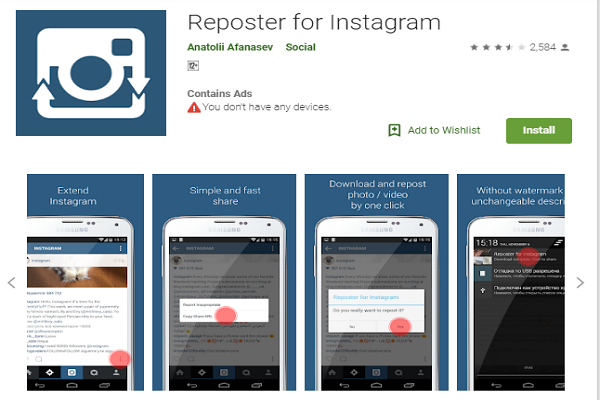 Reposter will enable users to Repost photos, videos, and Stories from any other Instagram accounts. This simple app allows the user to Repost all your favorite unlimited photos and videos to Instagram. You don’t need to log in on Instagram to Repost Photos and Videos. It allows users to post from this Repostly app directly. The Instagram algorithm has entirely changed in last few months. Instagrammers should implement new techniques to grow your Instagram account and increase the followers. Reposting on Instagram is the best way to showcase your brands on Instagram Marketing. Those who are in confusion stage on how to repost on Instagram, go through this content for a better result.